Meet & Greet on arrival at IXB Airport meet with our representative and drive to Gangtok (5,480 ft.). On arrival Check-in to hotel & rest of the day at leisure. Overnight stay at Gangtok. 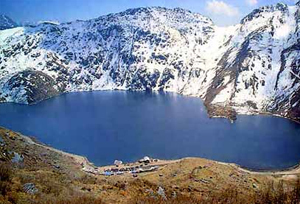 After breakfast an excursion to Tsongmo Lake (12,400 ft.) & Baba Mandir (13,200 ft.) which is 55 kms one way from Gangtok city. Overnight stay at Gangtok. After breakfast pick up from hotel & drive to Lachen (9,800 ft.). Enroute visit Singhik View point, Seven Sister Water Fall, Naga Water Fall and Arrive Lachen by evening. Dinner & overnight stay at Lachen. After breakfast departure for Gangtok, enroute witness the wonderful Bheema & Twin waterfalls. On arrival at Gangtok check-in to your hotel. Overnight stay at Gangtok. After breakfast start for a Full day city tour covering Tashi view point, Ganesh Tok & Hanuman Tok, Ranka Monastery, Banjhakri Falls, Cottage Industry, Dro-dul-Chorten, Institute of Tibetology, Flower show and Handicraft Centre (maximum 6 hours). Overnight stay at Gangtok. After breakfast drive to Pelling (6,100 ft.). On arrival check-in to your hotel & rest of the day at leisure. Overnight stay at Pelling. After breakfast start for full day sightseeing. 1st Half tour - Darap village, Rimbi water Falls, Sewaro Rock Garden, Khecheopalri Lake & Khangchendzonga waterfalls. In afternoon start for 2nd half tour - Pemayangtse Monastery, Rabdentse Ruins, New Helipad Ground. Overnight stay at Pelling. After breakfast transfer to Kalimpong (4,100 ft.). On arrival check-in to your hotel & rest of the day at leisure. Overnight stay at Kalimpong. After Breakfast half day city sightseeing tour of Kalimpong Visiting Mangal Dham, Deolo Hill, Dr. Graham's Home, Golf Garden, Durpin Dara Hills & Flowers Nurseries. Afternoon drive to Darjeeling (6,710 ft.). On arrival check-in to your hotel & rest of the day at leisure. Overnight stay at Darjeeling. Early Morning (at 04:00 am) drive to Tiger hill to watch the spectacular sunrise over Mt. 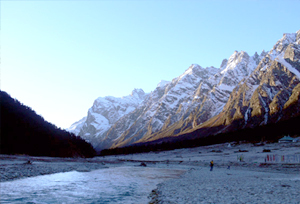 Khangchendzonga (28,208 ft. Worlds 3rd highest peak), on your way back visit Ghoom Monastery and Batasia Loop. After breakfast visit Himalayan Mountaineering Institute, P.N. Zoological Park (Thursday closed), Tenzing Rock, Tibetan Refugee self-help Centre (Sunday closed), Tea Garden (outer view), Ropeway and Japanese Temple. Evening free for shopping or leisure. Overnight stay at Darjeeling. After breakfast full day excursion trip to Mirik Lake (4,900 ft.) via Indo-Nepal Border (Extra vehicle charges will be applicable for Nepal Border to Pashupati Market). 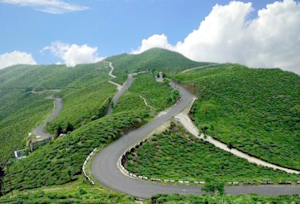 Mirik is famous for its man-made Sumendu Lake, Cardamom plantations and Tea Estates. (One can do Boating on direct payment basis in lake). On arrival check-in to your hotel & rest of the day free for leisure. Overnight stay at Mirik. Morning after breakfast Check-out from hotel on time and take the departure transfer to IXB Airport for your onward journey.